Rebeca has over 20 years of Social Work experience. She has worked with children and families in many social service settings. Rebeca has an Executive MBA from Wichita State University and is founder of Complete Circle Counseling & Coaching. Rebeca is a Licensed Specialist Clinical Social Worker and Registered Play Therapist-Supervisor. Reach Rebeca at 620-694-4078 for an appointment. 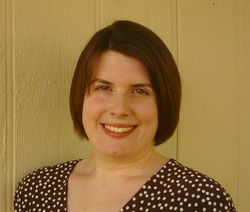 Amanda Stockton is a Licensed Specialist Clinical Social Worker. She graduated from Wichita State University. She is working on obtaining her Clinical license in Social Work. 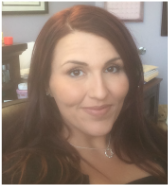 Amanda has over 8 years of Social Work experience working with children and families. ​Reach Amanda at 620-931-8869 for an appointment. Gina Heyen received her Master of Science in Marriage and Family Therapy from Friends University and her Bachelor of Arts in Elementary Education from Southwestern College in Kansas. She has been a Licensed Clinical Marriage and Family Therapist (LCMFT) since 1999. Her practice experience encompasses children, families, couples and individuals at all stages of their development. Gina is a published author and has been a freelance writer since 2009 writing about family issues. She is the author of Learning with Matthew (for parents) and Creating a Therapeutic Classroom (for teachers). Gina also has more than10 years teaching experience at the elementary and college level. ​You can reach Gina for an appointment on her cell phone at 316-253-4048.